The Kutsche Office of Local History is celebrating the life and history of Holland’s Latino residents in a new exhibit at the Herrick District Library in Holland, Michigan. Spotlight Productions at Grand Valley State University will host a free hypnotist show on Dec. 2. Grand Valley State University students interested in studying abroad in the Ghana social work program are invited to attend an informational meeting on Nov. 23. Panelists from Detroit and Grand Rapids will gather together to discuss the future of Michigan at Grand Valley State University’s second Civil Discourse Symposium on Nov. 19.
he Statistics department at Grand Valley State University is hosting its Statistics Career Day on Nov. 20. Award-winning writer Nina McConigley has been chosen as the featured speaker for the next installment of the Grand Valley Writers Series. The incorporation of storytelling and education into design thinking is the point of discussion during two presentations from experts in the field of design at Grand Valley State University on Nov. 11 and Nov. 17. 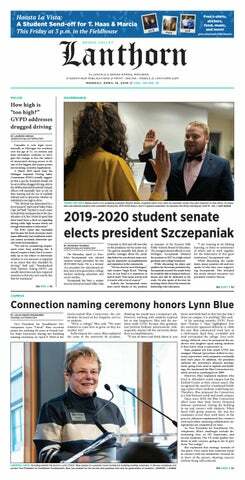 Yardsticks, the annual student advertising and public relationships competitions came to an end on Oct. 28 as a team of three Grand Valley State University students tied for the first-place title.